Renowned Car maker Rolls-Royce has a very great unique concept in mind and this they believe that smallest Rolls-Royce to make the biggest difference. Hand Crafted by the Bespoke Manufacturing team for St Richard’s Hospital Pediatric Day Surgery Unit in Chichester, West Sussex, the Rolls-Royce SRH is so well designed and articulated to allow children awaiting surgery to drive themselves to the operating theater. The experience of ‘self-drive to theater’ aims to reduce child patient stress. The main purpose of making this project is about social responsibility means giving bcak to the society or local community that can create more ethical values of an organization. It will also enhance their Brand image and goodwill in the minds of the parents that this initiative will help their kids to reduce their anxiety levels at the hospital. This tiny luxury electric car comes with a two-tone steering wheel and 24-volt gel battery which generates a top speed of 10 miles per hour. 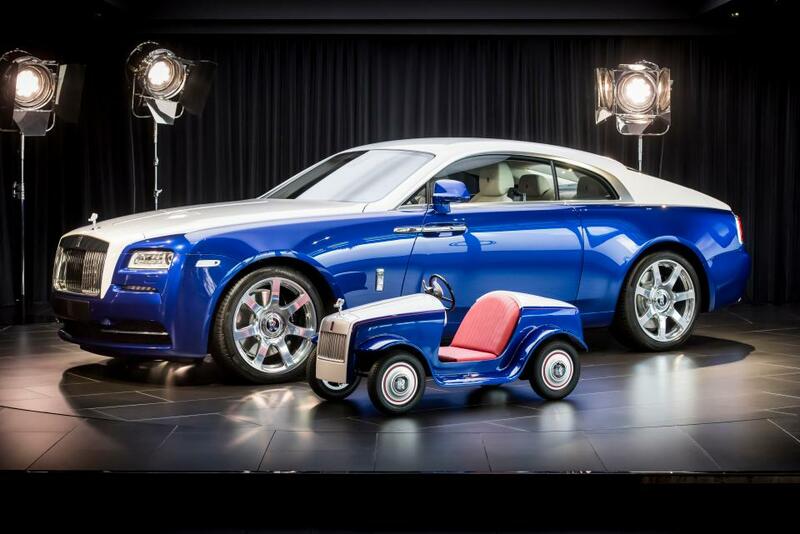 The main idea is to create Go Kart like small Rolls-Royce with a Single seat capacity for kids to drive around hospital. Its main aim to make the ride more joyful and cheerful so that children feel less amount of stress at the operation theater. The Engineers spent 400 hours to build this new handmade new Rolls-Royce SRH. its is specially been made for child patients at St Richard’s Hospital in Chichester, West Sussex. Two patients Molly Matthews and Hari Rajyaguru were given honour of the first drive at Rolls-Royce’s Goodwood Head Quarters.’This project showcases the amazing skills and technology that exist in the Bespoke Manufacturing Team and across every area at the Home of Rolls-Royce here at Goodwood. Rolls-Royce in a press release also informed that there is no pricing disclosed of this vehicle because its been part of their social initiative and no plans to commercialize and produce more cars in future. There are currently no plans to produce any more of them.